← Is Your Toddler Regressing? Relax, There’s Hope! So I thought the biggest news (for me) today would be that I’m thirty years old, but Disney had to outdo me by buying frickin’ Marvel! The deal still has to be approved by Marvel shareholders and get antitrust approval, but I seriously doubt either will be a problem. Really, this could either be a huge benefit to both companies or could drag them both down (see the AOL/Time Warner merger). My bet is on it being a good thing. Disney has a history of letting its acquisitions keep doing what they do best. Once Marvel’s distribution deals with Sony and Paramount end and Disney’s comic deals with other companies expire, they’re looking at some streamlined, profitable processes. Besides, you know you’re dying to see a Muppets-as-X-men parody just as much as I am. Animal is the best there is at what he does! 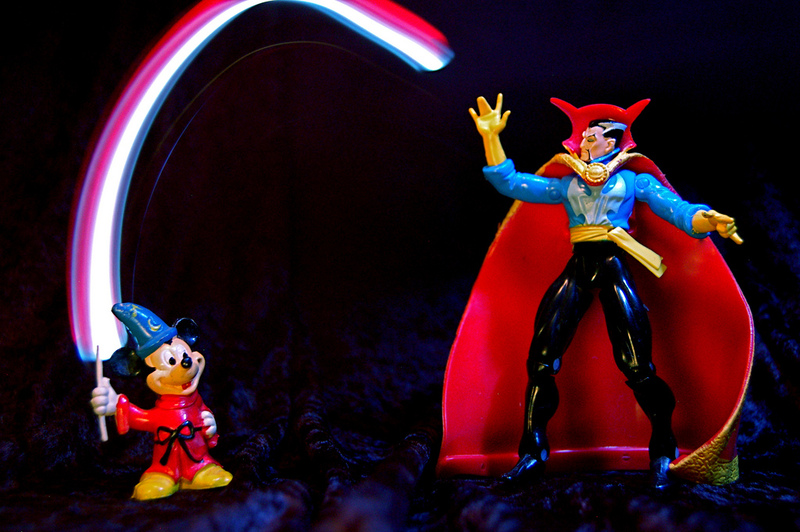 That Sorcerer Supreme’s Apprentice idea, while a joke, would also be pretty awesome. This entry was posted in Comic Books, Marvel, Movies and tagged Arts and Entertainment, Business, Captain America, Disney, Marvel Comics, Marvel Entertainment, Media Conglomerates, muppets, Robert Iger, The Walt Disney Company, Walt Disney Company. Bookmark the permalink. Understandable, but I expect it to be more like the Disney/Miramax relationship back in the days of “Reservoir Dogs” and what-not.